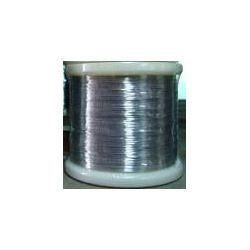 Leading Exporter of inconel x750 wire, stainless steel 316l strips and 310 coil from Mumbai. 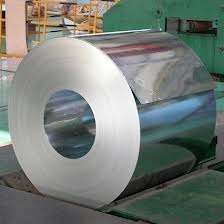 To cater to the diversified industrial needs of our customers, we have brought forward Stainless Steel 316 Strip. These strips as designed and developed at our vendor base are introduced comprising in-built strength & assured durability. On the account by using these products, we assure our customers to have qualitative products from our end. Stainless steel 310/310S is an austenitic heat resistant alloy with excellent resistance to oxidation under mildly cyclic conditions through 2000ºF. Its high chromium and nickel contents provide comparable corrosion resistance, superior resistance to oxidation and the retention of a larger fraction of room temperature strength than the common austenitic alloys like Type 304. Stainless 310 is often used at cryogenic temperatures, with excellent toughness to -450°F, and low magnetic permeability. 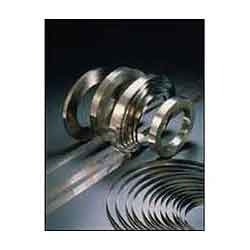 Looking for Stainless Steel Strips ?